The color that I will remember most from Kenya is gold. Golden Sand. Miles of it going on as far as the eye can see. The grass when you see it seems to be golden too, withering away in the drought. Then there are the majestic giraffes that stand at the side of the main highway linking Nairobi to Mombasa, lions too. Everything a shade of gold. The heat was intense as we made our way along potholed dirt roads, the constant shaking of the car making me feel nauseous. I announced to my boyfriend that there was a lake on the horizon and how we should risk entering the food chain to be able to swim – anything to escape the heat that was evaporating all life that I had left it me. 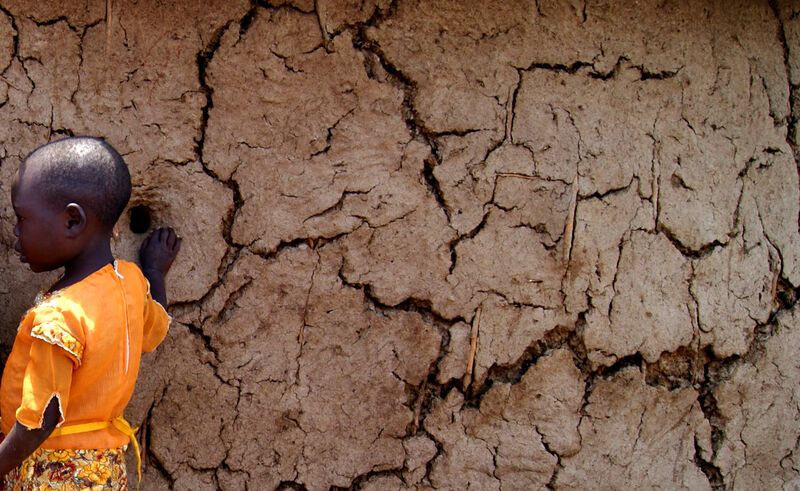 It turned out there was nothing there, just more sand…the first time I ever experienced seeing a mirage. The landscape was hostile, you could stay in the car and fry or step outside to be swamped by flies. I had been feeling wrecked for days blaming the equatorial sun and the exhaustion of travelling in Africa which i’m sure is all exaggerated by the side effects of Malarone, the anti-malarial pills I had been taking. Whenever I felt weakest my boyfriend would remind me that we could vacation in Benidorm, our idea of hell on Earth. That was always the motivation to remind myself that in these moments my life was a dream. I was in Africa. 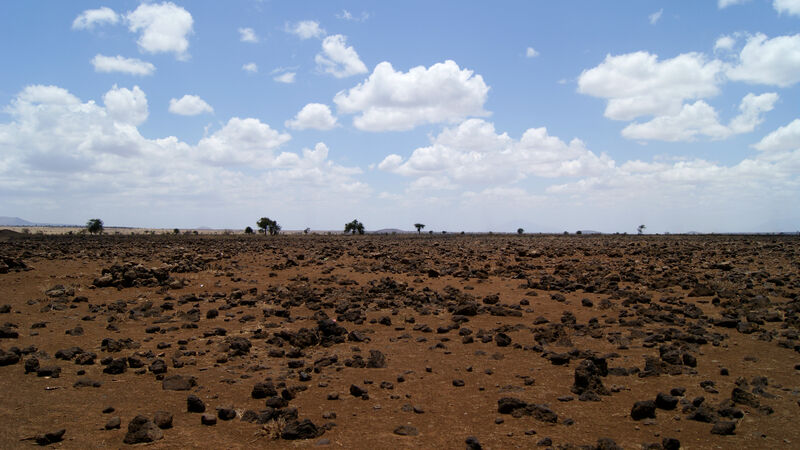 This is the endless landscape, sand covered by volcanic rock from a time when Kilimanjaro was erupting. There was something else about this landscape, something enchanting and utterly beautiful. The closer you looked you could see the highest free standing mountain in the world, the summit topped off by snow. Snow on the equator. Infront of Kilimanjaro dust devils like mini tornados dancing across the landscape. Then there was the sound, the sound of nothing, just the car engine and the endless void of nothing. Looking into the bush sometimes you would see them, the tall photogenic Maasai warriors carrying spears searching for something, the Maasai a Nilotic semi-nomadic ethnic group. This was the East Africa of legend, the images that have been stuck in the minds of generations and seeing this you realised you could never let it go. In this part of the world you are witnessing something so naturally perfect that it could almost be the center of the world. Here animals roam free in the shadow of one of the worlds most beautiful mountains and man’s pollution on the earth non-existant. 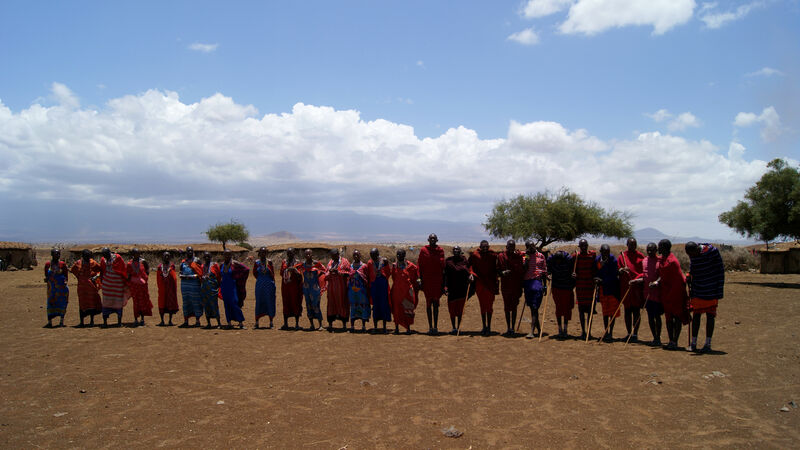 Some Maasai men were sitting under a tree and we stopped to take a photo. They started to run towards us and knowing how much East Africans hate being photographed I imagined we were in for an ugly incident – but they were friendly. They invited us to visit their village! 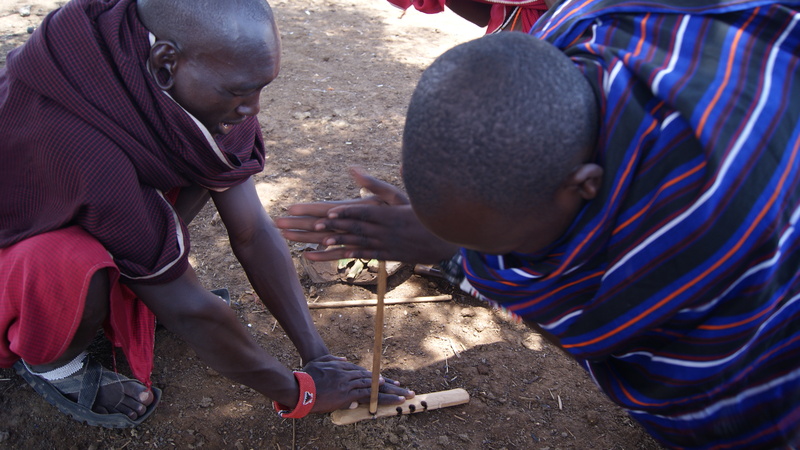 It was surreal sitting in the car taking directions from the Maasai who were carrying spears. The moment I took this photo was one of the most beautiful scenes I have ever witnessed. I thought just being the two of us would never merit such effort as a welcome song but how wrong I was. They even danced for us, it was incredible with Mount Kilimanjaro in the background and dust devils working their way across the horizon. Somehow the guttaral tone of the song reminded me of the Aboriginals in Australia. Afterwards everyone knelt down on one knee and prayed. 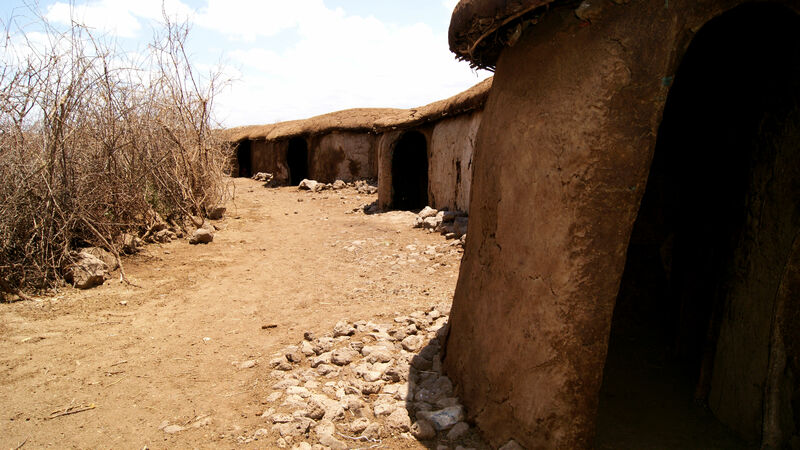 The Maasai homes are made from sticks and the waterproof plaster is elephant dung. We went inside one of the houses. At first it was pitch black and the heat was overpowering but as my eyes adjusted to the darkness I noticed I was sitting on a bed, the mattrass made of cow skin. There was a small fire lit in the middle of the room, the windows were tiny little circles about 10cm across. This made me feel claustrophobic. 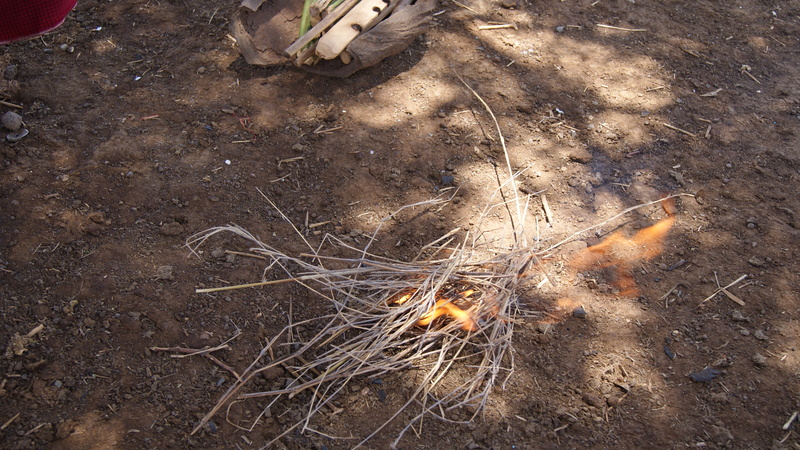 We were told that when a member of their tribe dies there is very little ceremony. The body is just laid out in the open for scavengers. 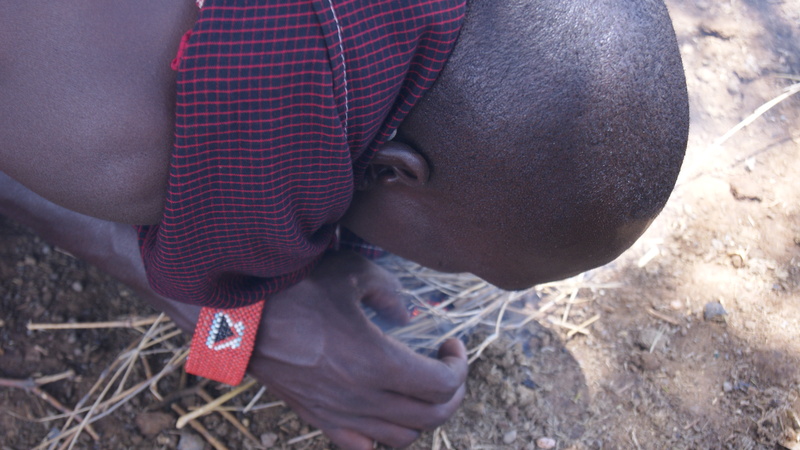 If the body is somehow rejected by scavengers it can bring shame on the tribe so often the body is smeared in ox blood and fat. 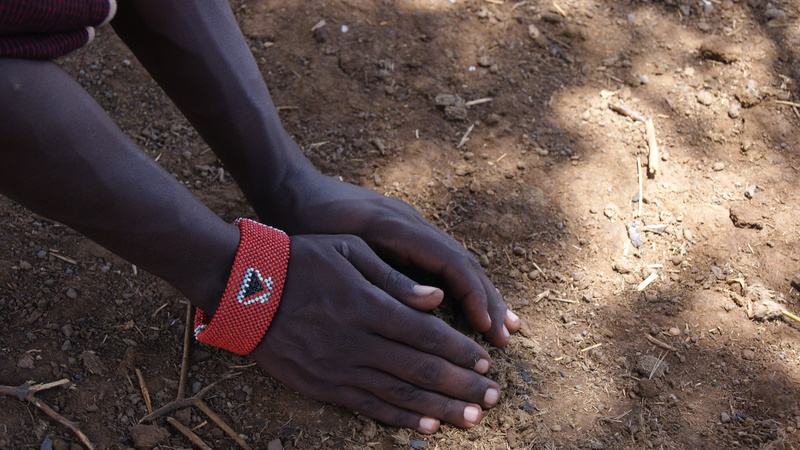 It is a myth that Maasai boys have to kill a lion to become a man. In the past this was the case but now killing lions is illegal. Right above the girl’s hand you can see a window! 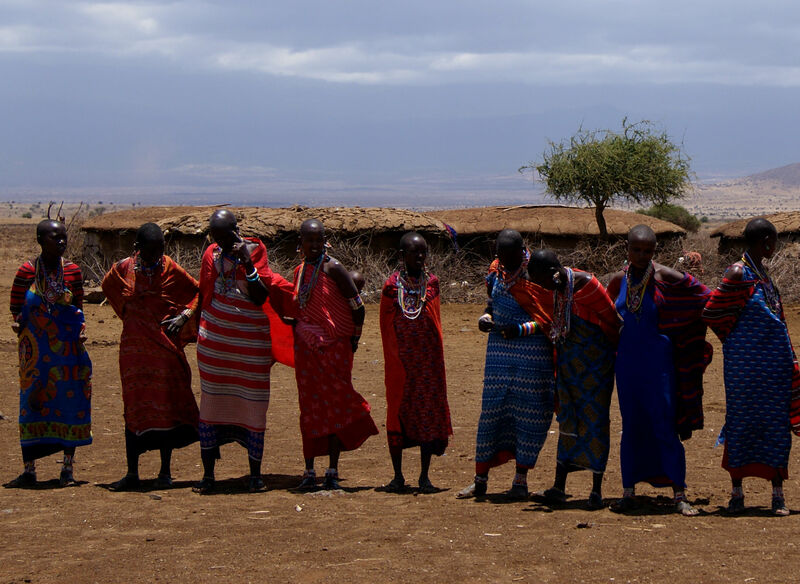 More Maasai tribe taken somewhere in southern Kenya. 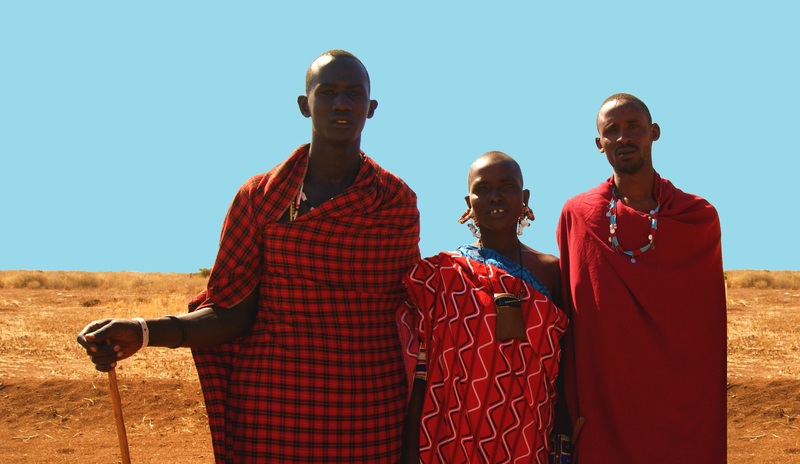 Within cities in East Africa like Nairobi and Dar es Salaam the simple red clothes called Shúkà (pictured above) is what they wear. 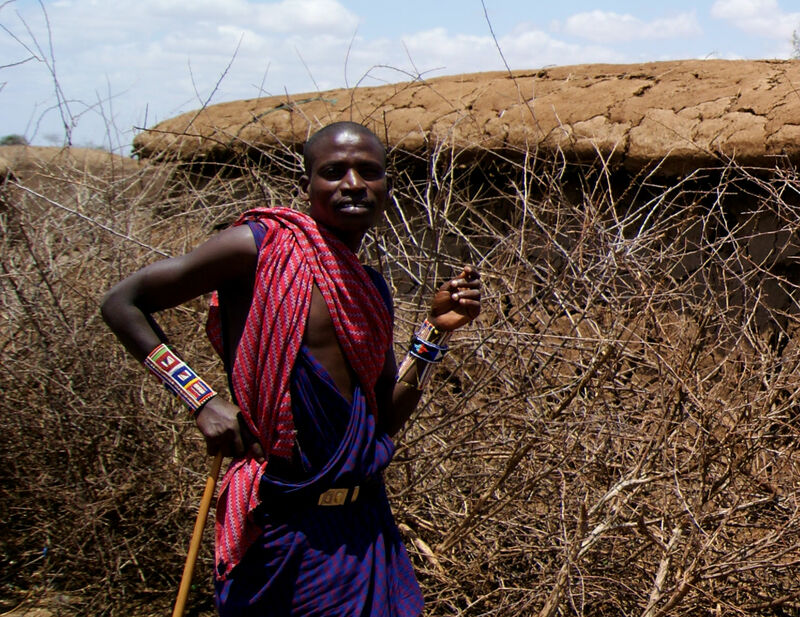 It’s quite startling to see Maasai dressed like this sipping a macchiato in an internet cafe! 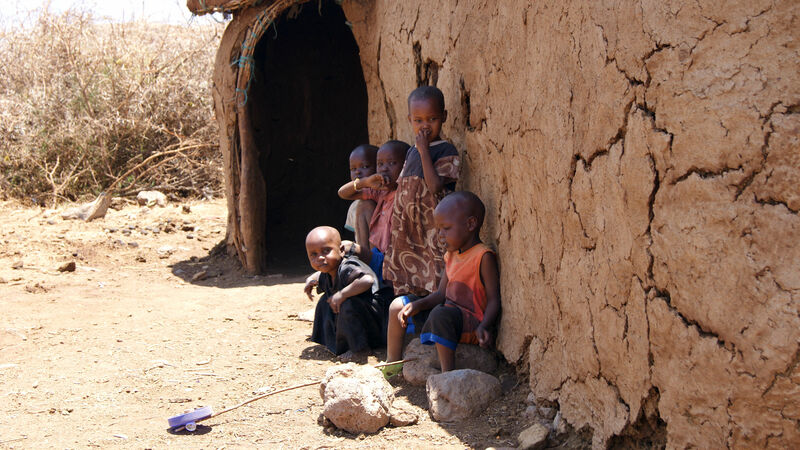 This entry was posted in Kenya and tagged how the maasai live, maasai in kenya, maasai tribe, masai. Bookmark the permalink. So effective to find somebody with some original thoughts on this subject. Omg awesome site! You’ve honestly have answered a great deal of my worries thanks a lot! You don’t have to worry about travelling to Africa, I felt alot safer there than many other places. Hey, I think your blog might be having browser compatibility issues. When I look at your blog site in Opera, it looks fine but when opening in Internet Explorer, it has some overlapping. I just wanted to give you a quick heads up! Other then that, wonderful blog.